Buyer pays any shipping cost. 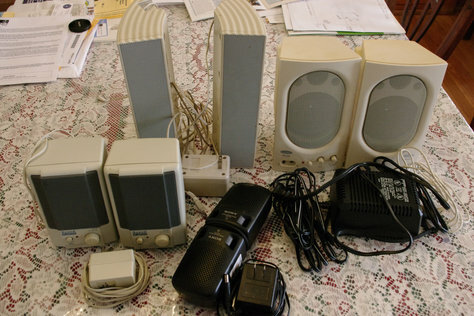 Powered speaker pairs originally used with computers. All AC powered, but one can run on batteries. All were working when taken out of service. Connects with standard miniature phone plug.